Fuel Filter F026403020 Bosch. Part Number F026403020. BMW 11252754870. MINI 11252754870. Fuel Mixture Formation Petrol Injection. MINI MINI (R56) Cooper Hatchback Petrol 10/2006 02/2012 FWD 16 120 88. Fits to all engines 1.9 TDI PD SERIES : ARL ASZ AVF ASV AWX in Golf, bora, leon audi a4, a6 passat skoda vrs etc. Injector need setup in head and set setup pretension. No warranty given or implied for used injectors. FUEL INJECTOR 038130073AL. BOSCH 0414720039. VW AUDI SEAT SKODA 1.9 TDI PD ENGINE. THE BUY IT NOW PRICE IS FOR 1 INJECTOR. CHECK YOUR PART NUMBER AGAINST OURS TO ENSURE THAT THIS IS THE CORRECT ONE FOR YOUR VEHICLE. 73503657, 24459853, 9158595, 93171176, 9196671, 9543901, 2R0906051C, 0000073503657, 504088431, A1571530128, 55206797, 504245257, 1448387, 6M34-9J433-AA, 6238210, 163639, 163661, 0281002437. Vauxhall Astra 2005 - 2009 1.3 CDTI MK V [2004-2010]. GENUINE VW GOLF MK4 BORA ANNIVERSARY LEON 1.9 TDI PD 130 ASZ 150 ARL FUEL INJECTOR 038130073AL FULL WORKING ORDER. All parts are marked with our security mark to save any misunderstanding or confusion. Fuel Filter F026402846 Bosch. Part Number F026402846. FORD 1427928, 6G9Q9155AA. JAGUAR AJ811141. CITROËN 190183. PEUGEOT 190183. Filter type In-Line Filter. Function Fuel filter. 20 DEPOSIT WILL BE ADDED TO THE PRICE FOR THE OLD UNIT! Fabia VRS & Octavia/ VW Polo, Golf & Bora / Seat Ibiza & Leon. Breaking full Black MK1 VRS with BLT engine. Injector for. Price for one injector only. All injectors tested before removal, no smoking, no chocking. Great used condition in 100% working order. 3 SERIES2.0 3.0 DIESEL. 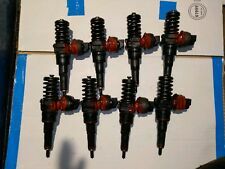 I have 5 injectors for sale. FOR CITROEN BERLINGO 1.6 HDI. COMMON RAIL INJECTOR WASHER. TO FIT BOSCH COMMON RAIL INJECTOR 0 986 435 090 / 0986435090. 0 445 110 243 / 0445110243. 0 445 110 188 / 0445110188. 0 445 110 165 / 0445110165. PART No F 00C 2G2 063. TRAFIC 1.9 & 2.0 & 2.5 DCI 2001-2014. CIVIC VIII, IX 2.2 CTDI & i-DTEC 2005-ON. GRAND SCENIC II 1.9 DCI 2004-2009. SCENIC II 1.9 DCI 2003-2009. MASTER II 2.2 & 2.5 DCI 2001-2010. LAGUNA II 1.9 & 2.2 DCI 2001-2007. Bosch - Germany. Two Fixing Point. Photos are for actual item. Combo 2004-09. 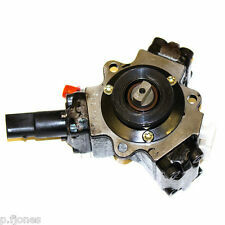 Injector for 2.0TDI 16v PD140, part number 03G130073G, fully working condition (tested). Real pics. Used before GENIUE VW PD injector for VW 130BHP , 038130073BA price for ONE INJECTOR. Injectors replace AL series as well. Engines AWX AVF ARL. Will fit to : GOLF, PASSAT, JETTA, TOURAN, Audi A3, A4, A6 and seat LEON witch engine code AWX AVF ARL etc 1.9 TDI 2002-2009. Air Filter fits HONDA JAZZ Mk2 1.5 02 to 08 6237161RMP Bosch. Filter type Filter Insert. Function Air Filter. A.L. FILTER 1322. ALCO FILTER MD-8144. MAHLE FILTER LX1949. HONDA 17220PWAJ10. HONDA JAZZ II (GD_, GE3, GE2) 1.2 i-DSI (GD5, GE2) Hatchback Petrol 03/2002 07/2008 FWD 8 78 57. PEUGEOT 156705, 156774, 1567A9, 91505306. Fuel Mixture Formation Petrol Injection. VW GOLF (17) 1.6 GTI Hatchback Petrol 08/1976 07/1982 FWD 8 110 81. VW GOLF (17) 1.8 GTI Hatchback Petrol 08/1982 12/1983 FWD 8 112 82. 1X NEW GENUINE PART FORD UPRATED 380kpa FUEL PRESSURE REGULATOR MANUFACTURED BY BOSCH GERMANY. Up-rated (3.8 bar) Fuel Pressure Regulator for the Ford Focus RS Mk1. Fuel type: Petrol / Gasoline. Manufacturer: Bosch (Ford genuine part). 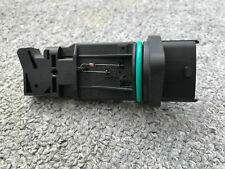 Bosch DPF Sensor (0281006005). Search “Bosch Automotive Catalog”. 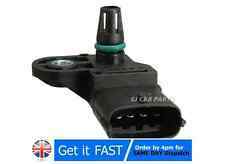 Bosch Fuel Pressure Sensor (0261545059). Search “Bosch Automotive Catalog”. The application table shown is just a guide supplied by the manufacturer. Labour claims, consequential loss and similar will never be accepted. ­03.04 - 08.06. ­11.02 - 12.05. ­10.01 - 08.06. ­03.01 - 09.07. ­01.05 - 12.07. ­03.04 - 05.05. ­08.03 - 09.07. ­09.05 - 12.07. Part number: 0280158117. Injector type: Saturated. Resistance: 12.7-13.1 Ohms. O-rings: Viton, Top and bottom, 14.5mm. (3.0 bar) - FORD SPECIFIC 80% DUTY CYCLE. Flow rates: (All tests conducted using the industry standard Heptane). CORSA D (S07) 1.0 (L08, L68). CORSA D (S07) 1.2 (L08, L68). CORSA D (S07) 1.2 LPG (L08, L68). Bosch Part Number 0280 142 486. CORSA D (S07) 1.4 (L08, L68). CORSA D Van (S07) 1.0 (L08). CORSA D Van (S07) 1.2 (L08). AUDI A4 8E 1.9D Air Filter 00 to 08 Bosch 06C133843. AUDI 06C133843. SEAT 06C133843. VW 06C133843. Filter type Filter Insert. Function Air Filter. A.L. FILTER ALA8493. ALCO FILTER MD9620. Bosch MAP Sensor (0281002655). Search “Bosch Automotive Catalog”. The application table shown is just a guide supplied by the manufacturer. Labour claims, consequential loss and similar will never be accepted. 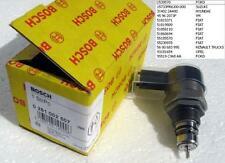 DIESEL FUEL INJECTOR BOSCH : 0414720404. VW TOURAN AUDI SEAT 2.0 TDI. All credit & debit cards accepted. Fiat 2.0 JTD. Citroen, Peugeot 2.0 HDI. FUEL PRESSURE REGULATOR VALVE. It is no problem to take and send extra pics if required. genuine BOSCH. Search “Bosch Automotive Catalog”. The application table shown is just a guide supplied by the manufacturer. Labour claims, consequential loss and similar will never be accepted. C8 02-14 2.0 HDI 2.2 HDI. SCUDO I II 95-07 2.0 JTD. ULYSSE II 02-10 2.0 JTD 2.2 D MULTIJET. 807 02-14 2.0 HDI 2.2 HDI. BERLINGO I II 96-08 2.0 HDI. C5 I II 01-08 2.0 HDI. XSARA I II 97-05 2.0 HDI. 206 98-09 2.0 HDI. 1 x Genuine Fuel Pump Repair kit. These kits are genuine kits which fit the following pump number. BMW Number 7810702. Suitable for the 2.0d N47N and 3.0d N57N engine. 3 Series E90, E91, E92, E93 LCI models F30, F31, F34. 1 Series F20, F21. Genuine Used BMW Diesel Bosch Injector. Suitable for BMW. Part No 0280218108. 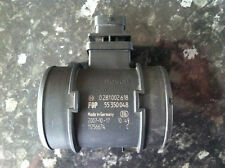 FOR SALE - Volvo S60 V70 S70 S80 99-02 Bosch Mass Air Flow Sensor MAF. 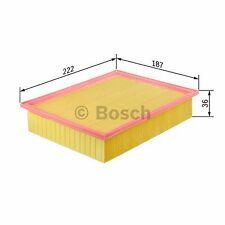 Air Filter F026400253 Bosch. Part Number F026400253. ATLAS COPCO 1092200281 1613 9001 00. Filter type Filter Insert. ALCO FILTER MD5276. HENGST FILTER E714L. MAHLE FILTER LX3009. STANDARD SA6847. AUDI A6 4F Air Filter 2.0 2.0D 04 to 11 Bosch 4F0133843A. AUDI 4F0 133 843 A 4F0133843A. VW 4F0 133 843 A 4F0133843A. Filter type Filter Insert. AUDI A6 (4F2, C6) 2.0 TDI Saloon Diesel 11/2008 03/2011 FWD 16 170 125. All car models listed can have several injector options. 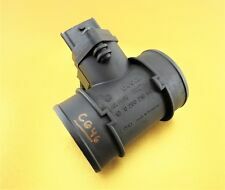 Vauxhall Part Number – 55562426. Insignia (2009->) – A16LET - 1.6 Turbo. Insignia (2009->) – A20DT, A20DTC, A20DTE, A20DTH, A20DTJ, A20DTL & A20DTR. It Fits The Following Part Numbers Are Used For Reference Purposes Only. Model year to: 12/2006. Model year to: 05/2006. Model year to: 12/2009. Model year to: 07/2008. Engine Code: NFU (TU5JP4); Model year to: 12/2006. ; Also fits:- ;Engine Code: N6A. Model year to: 10/2008.